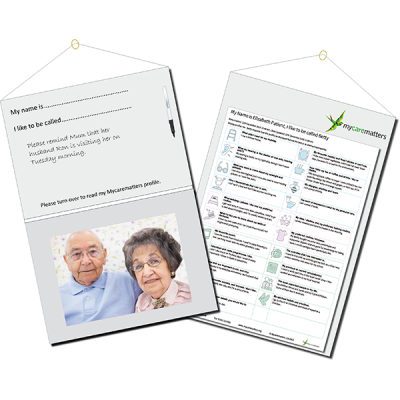 The Mycarematters Twist-N-View Display hanger enables a person’s Mycarematters profile to be turned to the wall when not needed, to maintain confidentiality. The front provides space for notes and to display a photograph, and there is a pocket on the reverse to display the person’s Mycarematters profile. Includes hanger, pen and hook. Mycarematters is an online service where a person, or a carer / care home on their behalf, can upload the information they want healthcare professionals to know if they are admitted to hospital and are unable to communicate. It is free for individuals to create a Mycarematters profile, and as awareness grows it is our intention that patients will already have a Mycarematters profile in place when they are admitted to hospital. 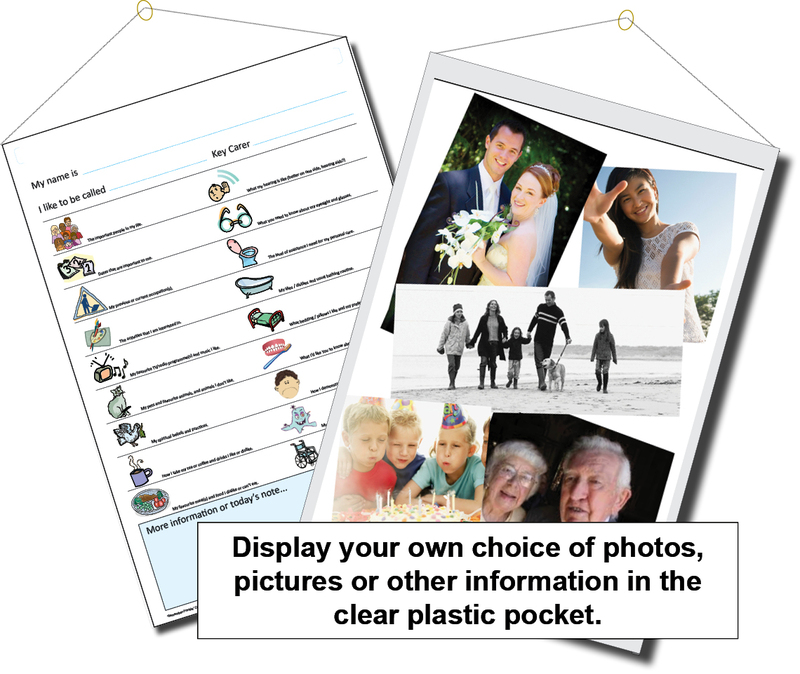 We currently encourage people to print out a copy, but hospitals also have the option, if provided with the person’s Mycarematters code, to go to the Mycarematters website, tap in the person’s name, date of birth and Mycarematters unique code, and view or download and print out an A4 sheet with their needs and preferences. 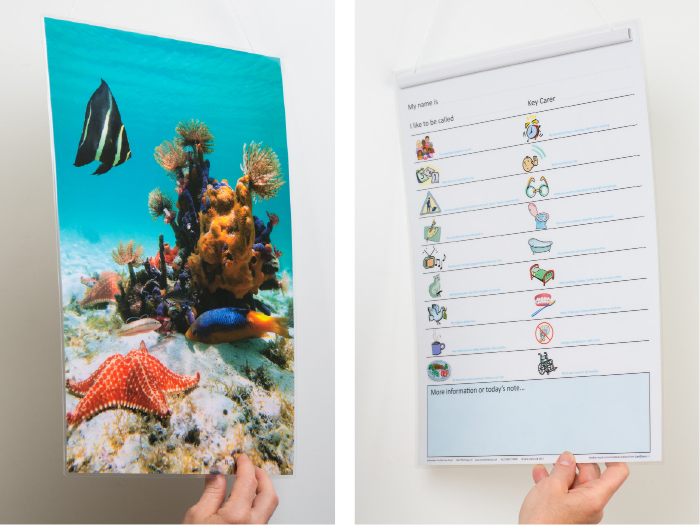 We offer a variety of display options to ensure that everyone interacting with the patient is able to access their Mycarematters profile; this double-sided version provides space for notes and to display a photograph, and has a pocket on the reverse to display the Mycarematters profile. Further information for care homes here.